The Korean “Burning” is a slow-paced, hypnotising tale about the vanity of life, blended in a mix of psychological drama and crime thriller. In its most symbolic form flame is a metaphor for both destruction and life. The tongues of raging fire can devour houses, forests and living things and turn them into dust in a split of a second. However, it’s also flames that we lit and sustain in burning candles, used to commemorate the people, who are already gone. The duality or varying interpretations of fire is at the core of “Burning”. The film’s protagonist is Lee (Ah-In Yoo), a shy man, whom we meet in a crowded street of Seoul. Lee passes by a shop with a huge clearance, where he is accidentally recognised by Hae-mi (Jong-seo Jeon), a girl who used to live in the same village in childhood. Soon, she meets Ben (Steven Yeun), a mysterious and rich man, who gets in between the two. The hands of the director Chang-dong Lee are never tied by either a specific genre or a dashing script. On the contrary, the Korean director takes his time to paint the story, its characters and background. Even though “Burning” is almost two hours and a half long, it keeps its odd, slowcoach momentum going till the very end. The spectacle is carried mostly by the three actors. Each one of them paints a completely different, yet convincing sketch. Lee claims that he aspires to become a writer, but whenever he’s asked about any progress (repeatedly mentioned in the film), he is half-numb and lacks any answer. Following him in the story is almost like levitating in his apathetic mood, deepening throughout the film. Then, there is Hae-mi. Jong-seo Jeon is a gracious on-screen presence, swift in shifting her emotions. Hae-mi is a ne’er-do-well type, a very unhappy human being, seeking an injection of excitement. This injection is brought by Ben, a man who oozes a strange mix of tranquility and creepiness. Ben is dressed in the skin of both Great Gatsby and Faust – a mephistophelean gentleman, hidden behind the facade of wealth. Yeun is nothing short of stunning in capturing such a malevolent, manipulative nature of Ben. He places himself above the other two, as if they were puppets, whose strings are firmly held in his hands. The dynamics between these three people is what causes “Burning” to be an exhilarating experience. The characters remind of planets in a solar system, orbiting around themselves and finding different ways to get close and drift away from each other. The difference is what each one of them sees in the metaphor of fire – is it catharsis? A trauma? A symbol of being reborn? Even though the acting tops the execution by all means, the cinematography and a sense of breathtaking frames are also praiseworthy here. One of the scenes exhibits Hae-mi dancing half-naked in the sunset, with smooth jazz tuning her in and camera almost dancing around her. In this one scene, Chang-dong Lee managed to squeeze the very essence of the character – a seemingly free bird caught in the trap of her own sadness. Frankly, there are numerous character-defining shots and sequences in “Burning” – breathtaking panoramas and claustrophobic zooms – which you just cannot forget long after the credits roll. 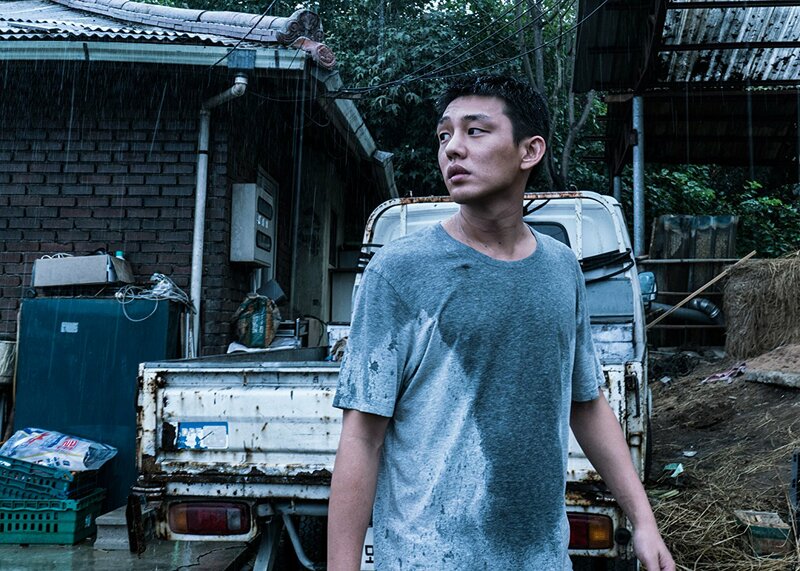 As a whole, “Burning” is a strange tale of two lost people, who clash with a towering presence they cannot comprehend and wish to resent. May not it be the easiest or most dynamic screening, it’s a profound, rich metaphor. Just like a fire burning, it transforms, changes and sheds light on things, but eventually turns them all into dust.